Bus-only lanes are part of existing roads but designed only for buses. No other vehicles are allowed to use the lanes except to turn into or out of a side road or driveway or to cross them to park. 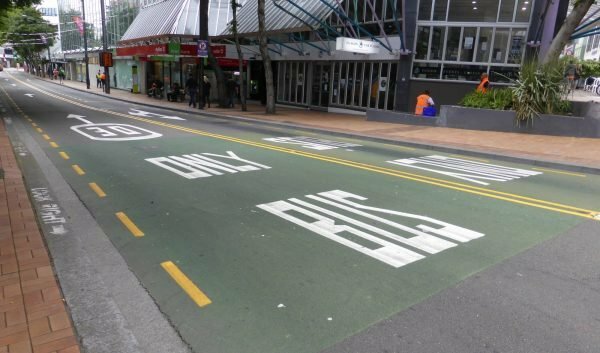 Bus lanes are marked where they start, mostly in green but sometimes not. 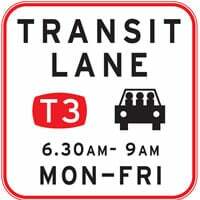 T2 and T3 lanes are for vehicles carrying more than two or three people, respectively. This includes buses and taxis even if they are empty, plus motorbikes, mopeds and bicycles. 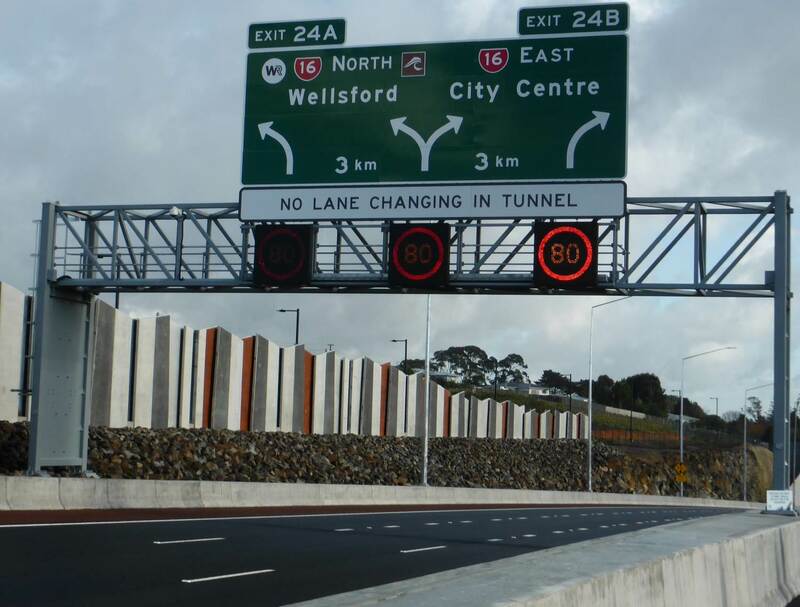 A busway is a dedicated road for buses that is separated from other lanes, for example the Northern Busway north of Auckland. Only buses and service/maintenance vehicles are allowed to travel on the lanes. If you ride or drive in a bus-only lane the infringement fine is $150. 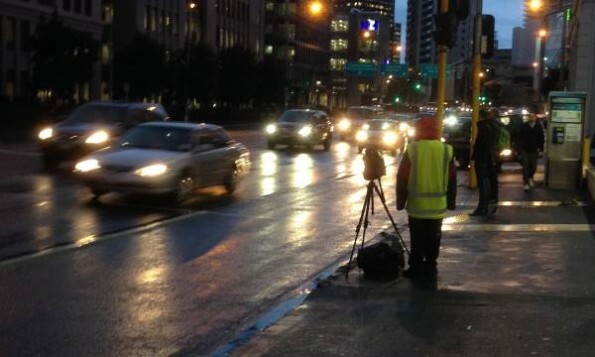 When can you drive in a bus lane? you are driving a wide vehicle and you need to use the bus lane because your load is wider than one lane. a person is signalling to turn right and is either slowing down or stopping and you wish to overtake them on the left (note: the existing legislation has not had the amendment applied). If you are turning out of a driveway or side street, or you are turning right into a side street then you can cross a bus lane. You can’t park in a bus lane. 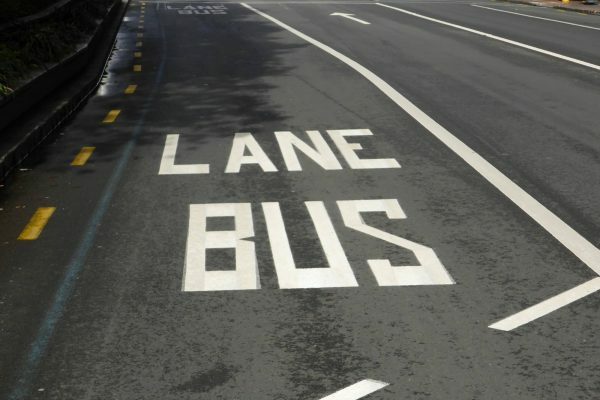 When are bus lanes in force? 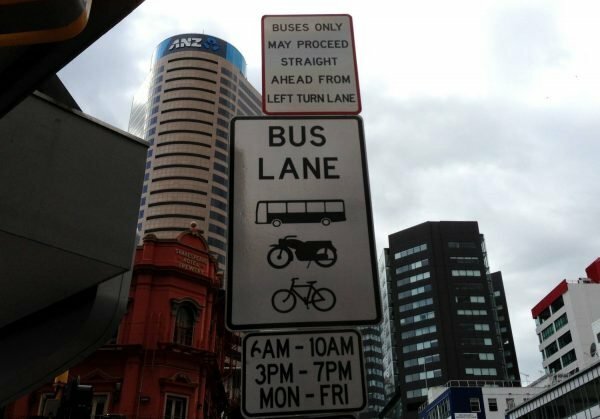 Unless they have signage, bus lanes operate 24 hours a day, 7 days a week. 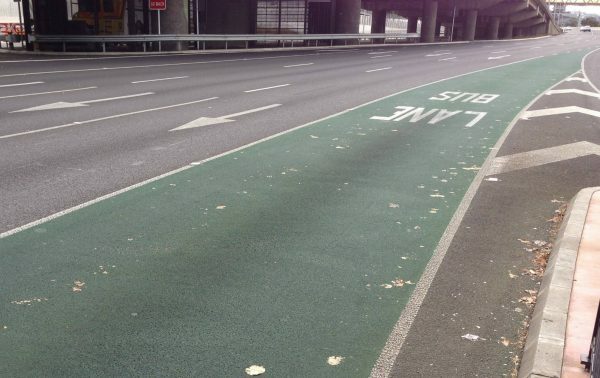 How far can you drive in a bus lane? You can drive for 50 metres if you are turning left into a driveway or side road or to pull into a parking bay that’s not part of the bus lane. ‹ What are smart motorways?